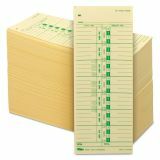 TOPS Acroprint/Cincinnati/Lathem/Simplex/Stromberg Time Card 3 1/2 x 9, 500/Box - Weekly time cards are equivalent to time clock manufacturer's time cards. The 143 lb. 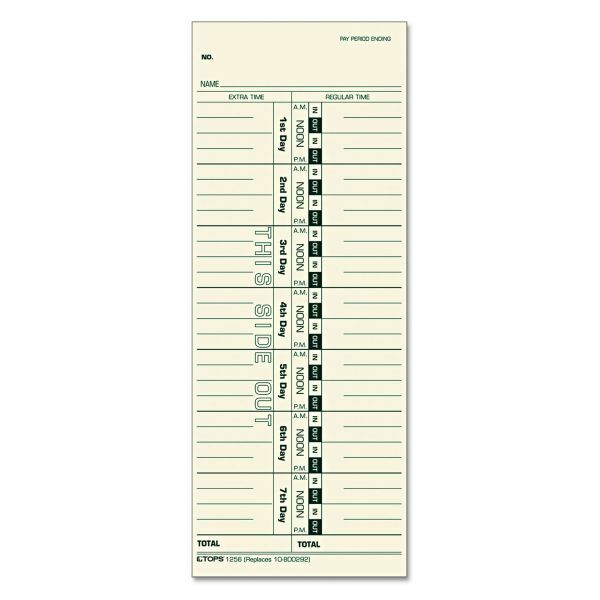 manila stock is printed in green ink on front with numbered days. Seven-day time period records regular time and overtime. 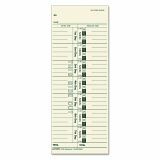 Time card replaces 10-800292.